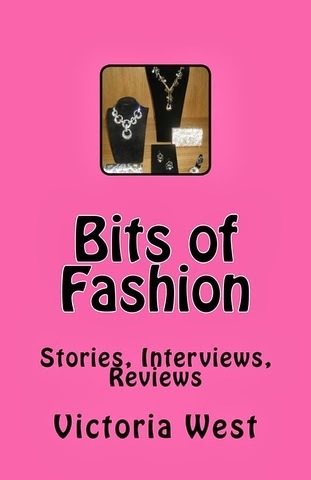 Purchase My Book "Bits of Fashion"
Last week I had a very interesting experience – I was invited to try out a training session at a new fitness club, F45, located in Yorkville, at 110 Bloor Street West in Toronto. 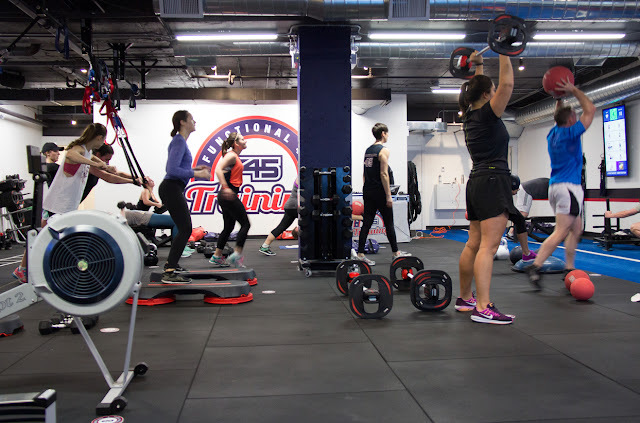 F45 has its very own style of training, combining elements of conventional weight training and cardio with functional movements in a high-intensity interval workout all done in 45 minutes. Research has shown that this type of training is more effective burning fat for 15 minutes a few times a week, compared to running on a treadmill for 45 minutes. I accepted the invitation, so I went there last Monday. The invitation said showers on-site, just bring a towel and your workout clothes. The club offers classes of 45 minutes with a pre-established schedule, so I chose a class at noon, 12 to 12.45 PM. The invitation also said that I could go with a friend, but I ended up going by myself, and then I met my friend downtown at a restaurant on Bloor Street West for a lunch later on, after the workout class. The class that I took was attended by 15 or so people who looked like the club’s regulars. Everybody was in a great shape, and it was clear to me that F45 was an active part of their lives. I met the trainers – Vanessa and John. The class consisted of a set of about 6 different exercises, and we worked out the entire class in small groups of three people, taking turns at each station for the next exercise, different type. Each exercise was one minute long, then a break of 30 seconds, then onto the next exercise, until we completed the whole round, three rounds in 45 minutes. The trainers guided us throughout the entire session. I grouped with two other girls who seemed to be friends and who totally were the club’s regulars, and boy, were they fit. They were very comfortable and at ease with all those exercises, considering that each exercise was different. I have been a very lazy gym goer lately, last time I went to gym sometime last December, for a swimming session. So when I went to try this session at F45, I kind of had to pick it up from where I had left it last time, and it wasn’t easy for me. I barely could keep up with my partners, they were way ahead of me at each of those exercises. It was funny how I made a discordant note with everybody else in there, because I was the new bee, and everybody else was so accustomed with this training. And the training itself, I found, was not easy, it clearly requires hard work, patience and focus to yield good results. The exercises were intense and challenging. Sometimes I just couldn’t do it the way it was supposed to be done, at its full capacity, so I did as much as I could. I wish I could say that I am a gym rat, but I’m not. I am a (lazy) gym goer, but not a gym rat. 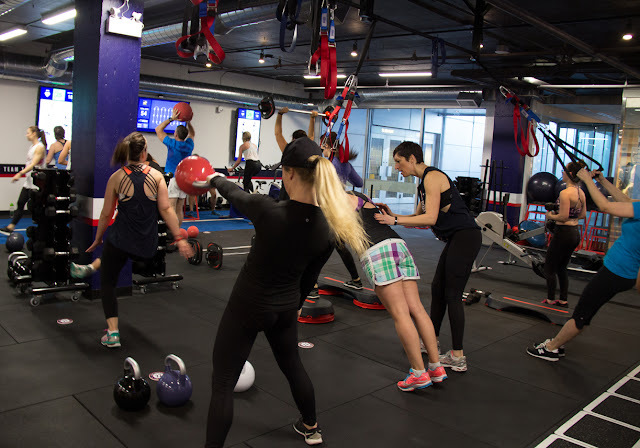 These guys at F45 are true gym rats, and I am saying that not as an offence or sarcasm, but as the sincerest compliment and in the best way possible – I was amazed how fit and in such a great shape all of them were. The only kind of rat that I have ever been was the library rat and the office rat, and I’m still far away from calling myself a true gym rat. I felt good after that session, and I actually enjoyed this class. It felt good to move my muscles a bit, since I hadn’t been very active in a few months. I had a bit of a muscle pain the following days, which I consider to be a good thing, because it burns out the fat and the dead cells from your body. F45 also offers a 2-week free pass to those who want to try it out before committing to a longer term relationship with the club – visit F45training.ca/Yorkville for more information. While researching the club, I found that F45 comes from Australia, and it is used by some of Australia’s biggest celebrities such as Hugh Jackman and Nicole Kidman, but also by many celebrities in US. 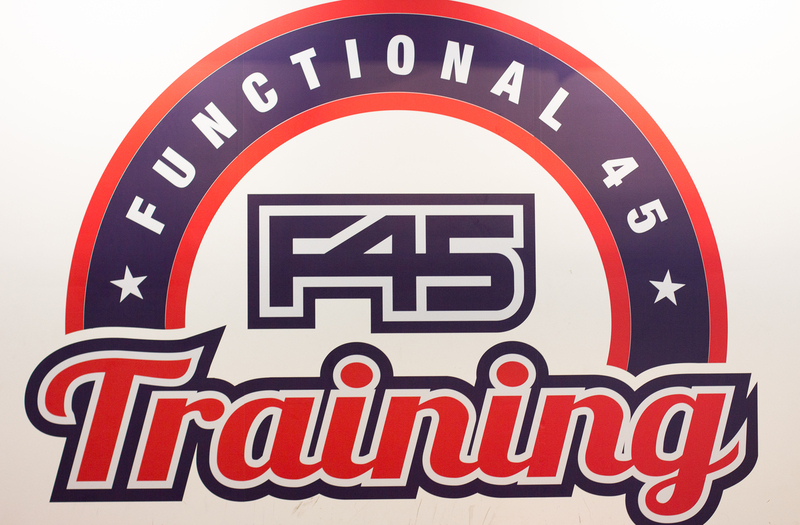 F45 uses functional training, which is the engagement in exercises that mimic or recreate everyday movement. This style of training builds and sculpts lean, functional muscles. No workout is ever the same. The fixed, 45-minute duration of F45 workouts exists to provide a timing structure to maximize growth and progress. Daily workouts vary. The club have developed 27 different 45-minute workouts, with more currently in development. The workouts are created by the F45 Athletics and Peak Performance Department from a database of over 3,000 different exercises, so members never get the same workout twice. The weekday classes have a 45-minute duration, and it’s one hour on Saturdays. F45 workouts are fueled and organized by the robust technology systems. 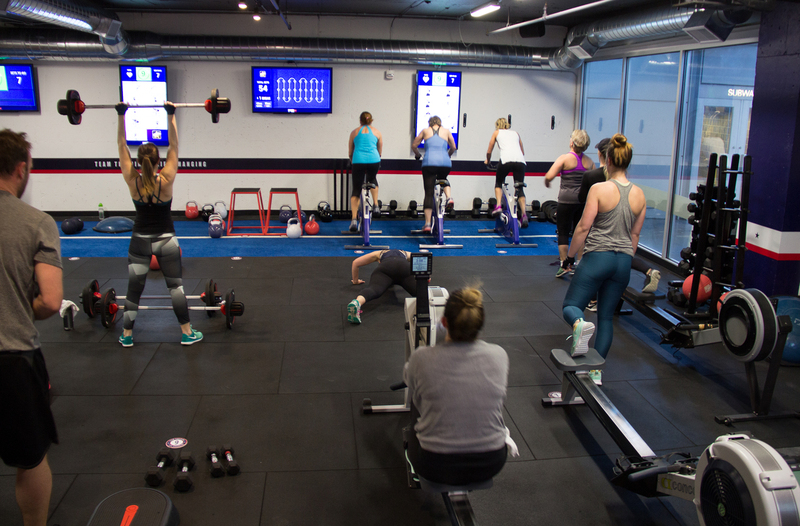 A series of TVs mounted on the front wall of their studios provide an organized, station-by-station diagram for each daily workout, plus you get guidance and motivation of the F45 trainers. 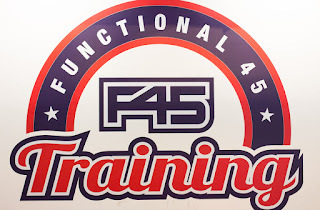 F45 uses a team training atmosphere which is the final factor for fueling F45 training’s dynamism. The motivation and encouragement in a group training facility create a pulsing, upbeat environment where goals are met and exceeded. 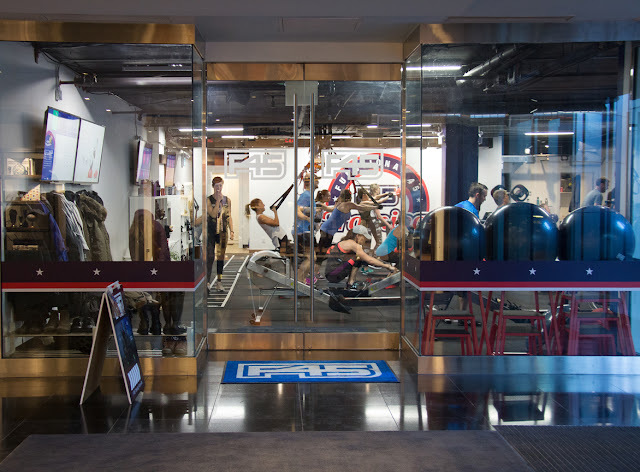 F45 first opened in Australia in 2012 – the F45 training Co-CEOs struck out to do the impossible, create a group-training facility that featured the most dynamic and effective training styles to date. Not only did they seek to find the best types of workouts, but they wanted to find a way to vary those workouts every day and make them accessible to the masses. They envisioned highly-capable, charismatic instructors to lead the workouts to motivate people to reach their potential. They wanted to create a structured, systemized and powerful training system that could be implemented around the world – and hence F45 was born. 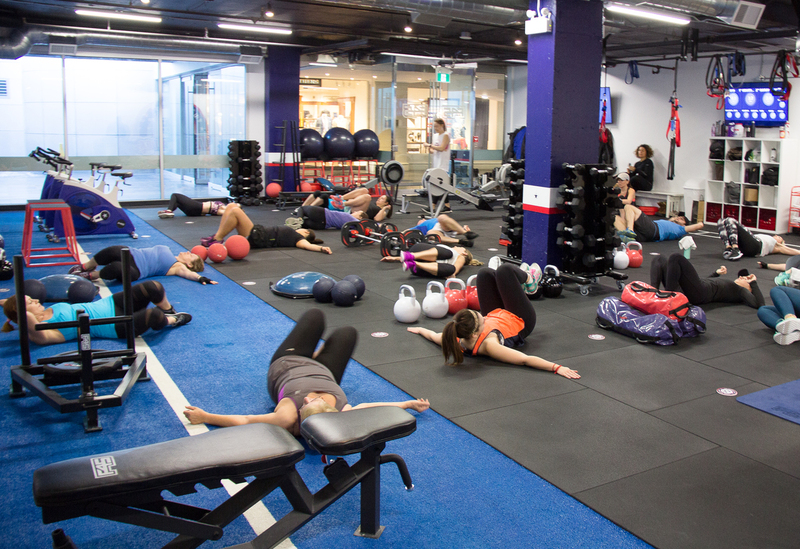 The F45 club in Yorkville, Toronto was opened in November 2016. Thank you Vildana, have a great day too. Hi there, thanks you for stopping by. Thank you Milika for stopping by. Hi Sabrina, thank you for visiting, welcome to my blog if this is your first time here, please come again. Yes I would like to, I'll check out your blog. Thank you Suvarna, great seeing you. Hi there, thank you for your comment. Yes sure, I'll check out your blog. nice post... i wanna go to the gym also but i don't have time. so, i buy some equipment so i can exercise in my room. Hi Julie, great seeing you, thanks for stopping by. Hi there, thank you for stopping by. Yes sure I would like to, I'll check out your blog. Hi Sandra, thank you for your visit and for leaving a comment. Yes I would like to, I'll check out your blog. Oh my, workouts? I don't do sport, lol. Sorry Victoria I am still behind but I promise I try to catch up. Hope your week is a bliss so far, my blogger friend. Thank you Jelena, I'm glad you liked the story. For natural testosterone booster solution, visit testosteroneofficial.com and find your best oyster extract supplements. You have provided such a great tips. I'm really impressed after reading your blog. Thank You. for weight loss,Muscles strenght and flexibility must visit.The Fitness Evolution. Looking for a professional female fitness trainer? Get at an affordable Personal Fitness trainer service, who helps you to lose your weight so you can get your dream shape. Hi, Ladies if anybody wants the same type of body then Contact us! Our Female personal trainer will help you to maintain the shape of your body as you want. Do you want buy best gym equipment accessories online in USA and Canada? Then visit Xtreme Fitness. Do you also face the same issues? So, why don’t you purchase workout equipment for sale online and start gyming at home itself? Best Fitness Equipment is one of the leading fitness accessories online stores in Australia. The store provides every gym workout equipment for sale which helps you to bring the gym to your home. For stories in English, please go to English page, English label or Categories in English. Happy Easter / Paste Fericit! Fashion, style, beauty, travels, movies, books and much much more! Copyright © 2010-2018 Victoria West. All rights reserved. Awesome Inc. theme. Theme images by merrymoonmary. Powered by Blogger.